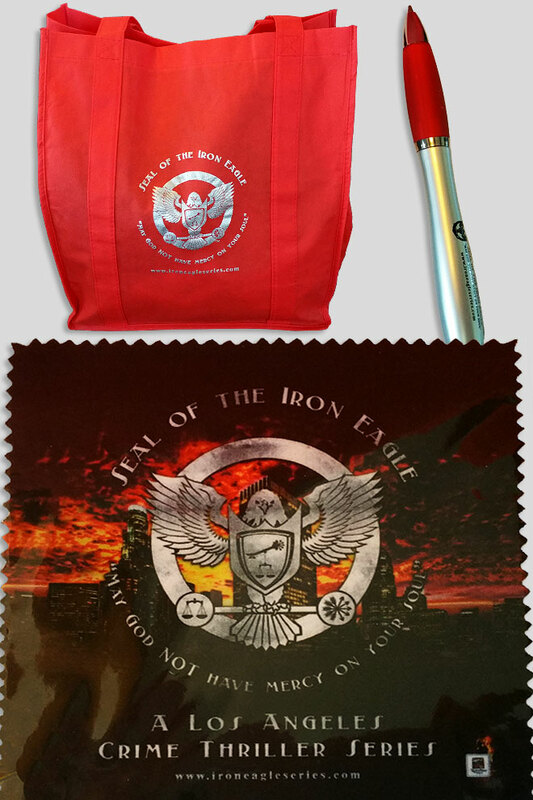 Show your support for the Iron Eagle® with this limited collection. Get this set FREE with the purchase of an Author Signed Hardcover Book! Red and silver tote bag made of non-woven polypropylene: 14” wide x 16” high. Expands to 8” and includes a black plastic insert to stabilize the bottom. Multicolor 5” x 5” Iron Eagle Series screen wipe for your phone, tablet, or glasses. Convertible black ink pen with stylus in silver and red. *Items shown in photo are not to scale. *Shipping only available in the U.S. and Canada.